Reckon One invoicing software lets you send and manage invoices from anywhere. 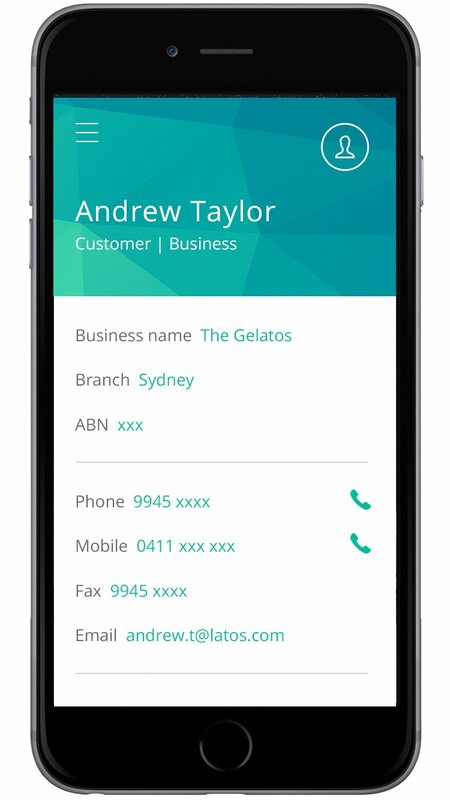 The Reckon One mobile app with invoicing is perfect for small to medium businesses. 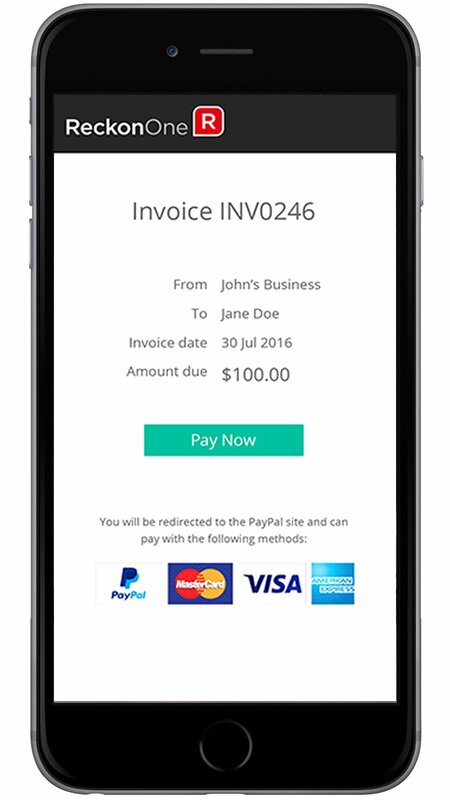 Create and send an invoice, or add a client or record from anywhere on your mobile. Simple! Your customers can pay invoices quickly and securely with their credit card or PayPal account. Track paid and unpaid invoices for a better understanding of your business cash flow. Send as many invoices to clients and customers as you like. It’s unlimited. Create an unlimited number of products or services from your smartphone. Build a database with an unlimited number of contacts, and access it on your mobile. Reduce paperwork and automate aspects of your invoicing, so you have more time to focus on your business. Make it easy for customers to pay you with online payment straight from the invoice. Know when an invoice is due, or gets paid, so you can stay on top of your cash flow. Build out and store customer details in the app and have their details handy. 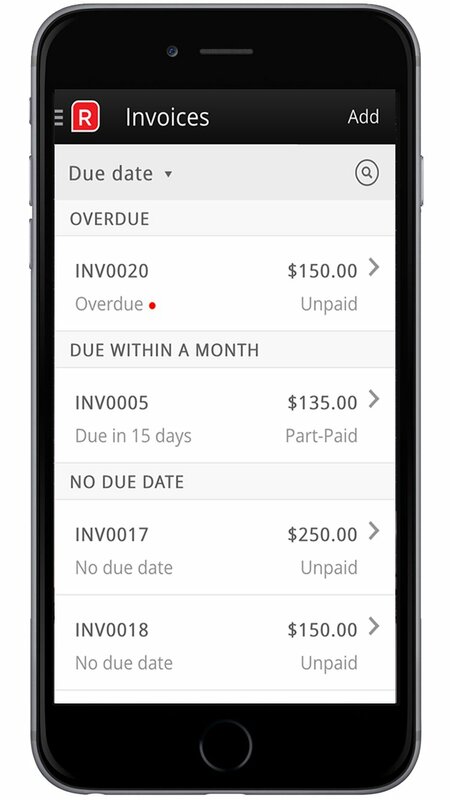 To get started with the mobile app, simply select the Invoices module in Reckon One. Once you’ve signed up, you can download the mobile app for free on the Apple or Google Play store and start invoicing from your smartphone. Your invoice payments flow seamlessly into your Reckon One account so you can gain quick insights from the dashboard, run detailed reports to see how your business is growing, and monitor and track expenses. Reckon One is also accessible on your PC, laptop or tablet and will sync automatically no matter which device you use. Simple and secure invoicing for small businesses with free support when you need it. We use AES-256 bit encryption and multiple layers of firewalls. Your data is always protected. Store your sensitive payment & accounting data here at home, under Australian law. Reckon One comes with free 24/7 online support and unlimited weekday phone support. Sign up to Reckon One with invoicing and you’ll be sending your first invoice in no time.